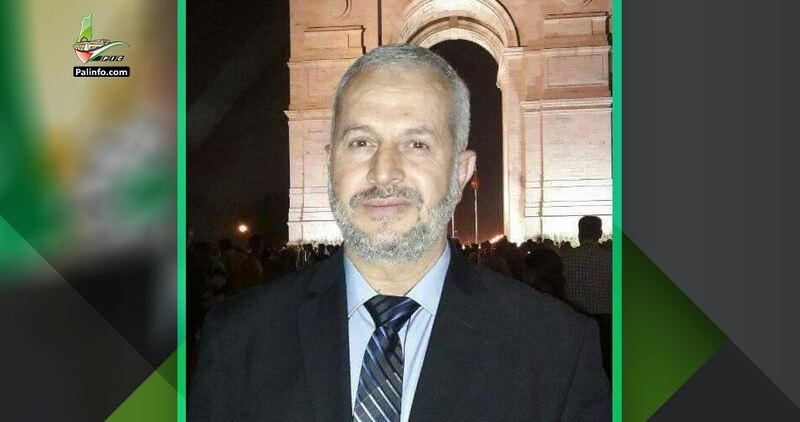 MP Naser Abdul Jawad, from Deir Ballout town in Salfit governorate in the northern West Bank, has been subjected to torture in Israeli jails and deprived of sleep for consecutive days. The family of MP Abdul Jawad revealed that he has been arrested for 50 days under harsh violent investigation leading to the deterioration of his health and that he was moved to the hospital for treatment. His family who are deprived of visiting him in jail said that Abdul Jawad informed the judge at court that he had been brutally tortured during investigation. He was transferred to Erez crossing in order to make him think that he was going to be deported to Gaza Strip as a form of threat. 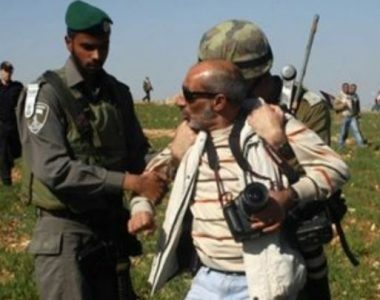 The family held the Israeli occupation authorities responsible in full for the life of MP Abdul Jawad. His detention has been extended for several times for no charges and without allowing him to meet his lawyer. Abdul Jawad was arrested many times in Israeli jails, the last of which was three weeks after he came back home from Malaysia where he obtained his PhD degree. Two Palestinians, including a 10-year-old child, were shot and injured on Thursday evening as clashes broke out in Nablus and Ramallah. 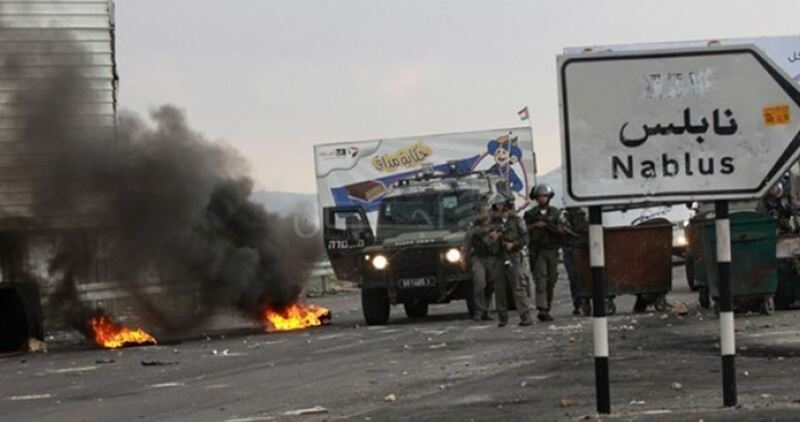 The PIC reporter quoted eyewitnesses as affirming that violent clashes erupted in Beit Furik town, east of Nablus, when Israeli Occupation Forces (IOF) stormed the area amid heavy firing of teargas bombs and rubber bullets. A young man suffered light injuries after being shot with a rubber bullet during the clashes, the sources added. Meanwhile, the child Salah Tamimi, 10, was injured after being hit by a teargas canister in his head in Deir Nidham town to the south of Ramallah. The child was wounded during the confrontations that erupted in the town between IOF soldiers and local youths. Two US congressmen escorted by Israeli settlers and policemen stormed Jerusalem’s al-Aqsa Mosque on Thursday morning. In a video uploaded online, Scott Tipton of Colorado and David McKinley of West Virginia defiled al-Aqsa Mosque as part of the morning break-in shift routinely carried out by Israeli settler hordes. 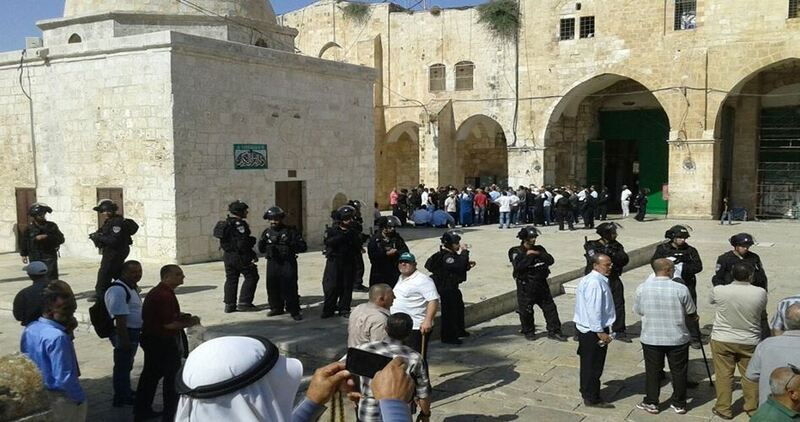 A PIC news correspondent said olive branches were stolen from al-Aqsa during the break-in. The assault makes part of Israeli attempts to alter the status quo at al-Aqsa—the third holiest site in Islam. The US President Donald Trump’s recognition of Jerusalem as Israel’s capital last month has given Israel green light to step up Judaization schemes in the holy city. Israeli soldiers killed, on Thursday at dawn, a young Palestinian man in the center of Jericho city, in the occupied West Bank, after shooting and repeatedly assaulting him. 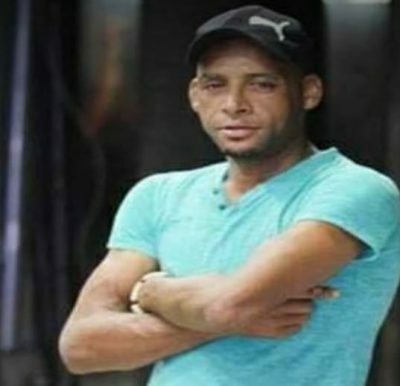 The Palestinian, identified as Yassin Omar Saradeeh, 33, heard a commotion at his uncle’s house, and rushed to see what was going on, before the soldiers ambushed and shot him, then continuously beat him up, including with their rifles. The army abducted the Palestinian, and several hours later, said that he died from his wounds. Ismael al-Masri, Yassin’s brother-in-law, said the slain Palestinian rushed to his uncle’s house, identified as Khamis Hattab, before a group of soldiers jumped at him, and started beating him up on various parts of his body, including his stomach and back, and dragged him away. The head of the Palestinian Prisoner’s Society in Jericho, Eid Barahma, said the soldiers informed the family of Saradeeh about his death on Thursday at dawn, and added that the young man was continuously assaulted by the soldiers, before he was dragged into a military vehicle. Palestinian Ministry of Detainees Issa Qaraqe said Saradeeh was assaulted the moment he was shot and captured by the soldiers, who continued to beat him up despite his wounds. It is worth mentioning that a surveillance video of the attack shows the muzzle flash the moment the soldiers jumped at the young, just before they beat him up. Israeli soldiers abducted, Wednesday, two Palestinian teenage boys, and a journalist, after the army attacked dozens of protesters near Ofer military base and prison, west of Ramallah, in central West Bank. The WAFA Palestinian News Agency said the soldiers resorted to the excessive use of force against Palestinian protesters, who gathered near Ofer during a court hearing for nonviolent activist Monther ‘Amira. It added that the soldiers fired many gas bombs, concussion grenades and rubber-coated steel bullets at the protesters, causing many to suffer the effects of teargas inhalation. 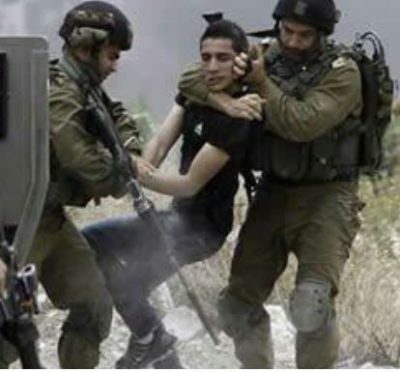 The soldiers also abducted two Palestinian teenage boys, and a journalist identified as Mohammad ‘Alwan. Furthermore, the soldiers attacked many journalists with concussion grenades, and pushed them out of the area. The protesters marched carrying Palestinian flags, and posters of Amira, while chanting against the ongoing Israeli occupation of Palestine. It is worth mentioning that Amira was abducted on December 27th, near the northern entrance of Bethlehem, during a nonviolent procession against the illegal U.S. recognition of occupied Jerusalem as the unified capital of Israel. In related news, the soldiers attacked a nonviolent procession at the main entrance of al-Biereh city, near Ramallah, and fired many concussion grenades. Palestinian municipalities in the Gaza Strip yesterday announced the halving of their services as a result of the energy and funding crisis in the besieged Strip, Quds Press reported. The municipalities across the Gaza Strip are unable to afford the minimum range of services for residents. There is a very clear retreat in the income of the municipalities due to the inability of Gaza residents to pay the monthly costs of services due to the deteriorating situation in the besieged enclave. Due to the financial crisis hitting them, over the last months Gaza municipalities have reduced payments to staff by 30 per cent. The Syrian Coalition said that the UN Security Council is facing a “moral challenge” as its members will convene today to vote on a draft resolution calling for a 30-day ceasefire in Syria. The vote comes as the Damascus suburb of eastern Ghouta is coming under a fierce military offensive by regime forces and their allies which killed hundreds of civilians, including many women and children in the past three days. Hakim also said that the Coalition stands ready to participate in today’s meeting to brief the UN Security Council on the dire humanitarian situation in Syria, especially in eastern Ghouta. Hakim pointed out that what is happening in many Syrian cities and towns, especially in eastern Ghouta, shows how the Assad regime and its backers are exploiting the political initiatives and the political and negotiating process in Geneva. “The ball is now in the court of the UN Security Council. We look forward for the session to be held later today,” Hakim said. The draft resolution, which was presented by Kuwait and Sweden, calls for allowing medical evacuations and the delivery of humanitarian aid to the besieged and affected areas. The US ambassador to the UN called for an end to human suffering in the besieged eastern Ghouta. In a statement on Wednesday, Nikki Haley urged the Security Council to pass a draft resolution calling for a 30-day ceasefire in Eastern Ghouta. “It’s time to take immediate action in the hopes of saving the lives of the men, women, and children who are under attack by the barbaric Assad regime,” Haley said. “These indiscriminate attacks deliberately target inhabited areas and civilian infrastructure, including medical facilities. They constitute a serious violation of international humanitarian law,” read a statement by the French Foreign Ministry. Israeli occupation authorities started building homes at the new illegal Israeli Jewish settlement north of West Bank city of Ramallah, Quds Press reported yesterday. According to Israeli TV Channel 7, occupation forces started assembling 36 mobile homes in the settlement known as Amichai, noting that the settlers are expected to use these homes within three weeks. In June last year, Israeli Prime Minister Benjamin Netanyahu announced that work on a new settlement would begin. It is the first officially authorised settlement since 1993, many illegal outposts have been set up by settlers with authorities doing little to reign in such attacks on Palestinian lands. “After decades, I have the honour to be the first prime minister to build a settlement in Judea and Samaria [West Bank]… There was not, and there will never be, as good a government for the settlements as ours,” Netanyahu had declared.